Bernice "Celebration of Her Life"
Bernice Noll "Celebration of Her Life"
On November 26th 2014, Bernice left this world to meet her God. She died peacefully in her sleep in the arms of her loving husband Paul by her side. The lovely beautiful lady so many of you saw in many pictures of Paul and Bernice canning is peacefully at rest with her God. Two sons and hundreds of Chinese students proudly refer to her as their American Mom. She spent 12 years in China teaching students with loving care. Flying co-pilot with her pilot husband Paul she visited some 40 countries sharing her smile with many in the world. She helped co-write some 16 books on computers, and learning English. She taught many classes in Church to many people of various ages. Always ready for adventure she went to many new places and blazed trails at her husband's side. 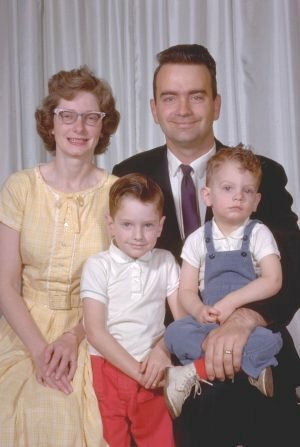 After her family grew up and went off to colleges she spent 20 years with Paul traveling the world as he taught computer seminars. Taking an active part in the seminar business she kept busy setting up the classes and keeping the books. Her love for flowers kept her active and she as her husband retired. She and Paul retired to a retirement home in 2012. At last someone else cooked and cleaned up for her. God prompted Paul to arrange a grand tour for her last days although we didn't know it then. We traveled to China in June of 2014 for the 15th anniversary of the University she had help start in China. In August 2014, again God prompted us to make a two week grand tour to visit our sons and former Chinese students in Southern California. We didn't know that her end was only three months away. In October 22, 2014, diagnosed with cancer, she went on Hospice care to end her days at home with husband, sons, relatives and friends. Happily smiling and relatively pain free she kept up her smile and grace to the end. She left the world in a better state by her generous spirit and smile. Loved and missed by many, she leaves a lasting impression and a precious memory to all she met.